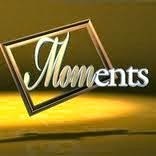 5 years ago and 15 pounds lighter :-), I was featured on Gladys Reyes TV show on Net 25 entitled MOMents. The theme for that episode is party planning and I was one of their featured Mom as the "D-I-Y Party Mom". My party souvenir business KidiKraft then was so new and it is really about my blogging then that made me one of their guest Mom. Now, as I reminisce about my blog "Blogging in..." who died 2 years ago, I can't help but think where it could be now if it still alive. I treated my blog then as my diary, as an extension of myself. Those time that I really don't care if people will read or not, and how I missed those times that I blog like this. How I missed my 11 PM blogging time where I usually sit on the stairs just to get a good internet connection, those times when I have skin breakouts due to lack of sleep as it coincides with my "blogskin's breakout" (Oh my HTML!). And how I missed my readers. I don't know where they are now, perhaps they are one of those known mom bloggers now. I remember a reader followed me in an event and told me, " I read your blog, san event mo sa susunod?". Ok enough. Don't cry over spoiled milk as they say. From now on, I will get back to blogging with straight from the heart post, more sharing, more information, and more importantly, to give more inspiration. Tempus fugit, time really flies!